A space drama, a sword and sandals epic, a 50s spy film and a TV pilot about an airport. Before the experiment was over, they broke the rules and made us cringe in ways we never dreamed possible. 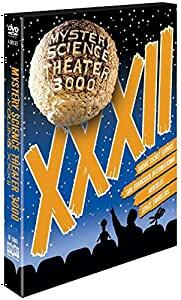 In this 32nd collection of episodes from the cult comedy series Mystery Science Theater 3000, Joel, Mike, Tom Servo and Crow spend detention aboard the Satellite of Love with a breakfast club of cheesy movies. To our everlasting good fortune, though, they endure the punishment by delivering a steady stream of wisecracks, and its definitely some kind of wonderful. Dear Dr. Forrester, you see these movies as you want to see them, in simplest terms, in the most convenient definitions. But what our space captives found out is that each one of them has bad acting, a sloppy script, questionable direction and some music. We accept the fact that we had to sacrifice eight hours of our time for whatever it was we did wrong. Thank you, we had a blast. A great collection of episodes, but for me the big draw is "Space Travelers". I like that, in the bonus features, they confess some discomfort at riffing a decent film with some major talents. But were it not for MST3K and Shout! one would be hard pressed to find a copy of what was originally titled "Marooned" in any format. This is one time I kind of wish they went back to the early practice of including uncut versions in the DVD releases. "Marooned" made a big impression on me when I saw it on TV as a child, and it was a major contributor to my interest both in the space program and science fiction. I realize it is a little plodding by today's standards, but so is 2001: A Space Odyssey, and at the time it seemed full of suspense and tension. Of course the other films and their MST3K treatments have their charms as well. Herc is always good grist for the mill, and I kind of wish they had held them all back for a Herculean all-Hercules special box, like they did for Gamera. Radar Secret Service and San Francisco International are two very different flavors of pain, made entertaining only by the magic of a man and his bots. Just my two-cents on the movies. Space Travelers: Lots of stars. Not bad special effects (for the time). Stunningly boring. Compare this to watching paint dry? It would be a toss up. The skits and riffing, however, keep it going - and keep you laughing. Hercules: The dubbing is, of course, pretty bad. Storyline? Well, I guess there is one - if by storyline they mean having Mr. Reeves run around flexing his muscles. The riffing and skits, of course are first class. Radar Secret Service: You just have to watch it to believe it. I watched it a couple of times and am gobsmacked how people could have thought this was a good idea. This is one that really didn't need the riffing to be hilarious - unintentionally of course. But the SOL crew make it even funnier. San Francisco International: I was laughing just looking at the fashion. And the set for the inside of the jets - we could only wish they were that big with that much leg room. At least we know where they got the idea for the Airplane comedies. Watch these if you dare! Be prepared to be bowled from laughing. I cannot wait for the next set to come out! Keep up the great work, SHOUT! "Space Travelers" (a/k/a "Marooned") was a big budget movie with a well-known cast - Gregory Peck, Richard Crenna, James Franciscus, David Janssen, and Gene Hackman (he's always good in everything he appears in). 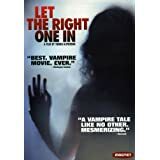 As Frank Conniff (TV's Frank) mentioned in his new introduction, it was an unusual choice for the MST3K gang to riff on, but the results were hilarious. The slow pacing of the film worked in favor of their constant riffing. Next up is Steve Reeves, not to be confused with George Reeves, who played Superman on TV. Steve flexed his mighty muscles in the title role of "Hercules" (1958). Hercules falls in love with King Pelias' daughter Iole; can't save the King's son Iphitus from getting killed by a lion; and row, row, rows the boat with Jason and the Argonauts on their voyage to get the Golden Fleece. It's all Greek to me! As a rule, I don't care for sword and sandals movies, but the original Hercules has a certain charm, which Joel and the 'bots have a field day riffing. The host segment on the Match Game is excellent. In addition, there is an interesting bonus feature on the early films of Joseph E. Levine. As Mike Nelson points out about "Radar Secret Service" (1950), the film spends far too much time dealing with radar, and not nearly enough time with the secret agents. In fact, the whole movie is like an expanded short subject that could have been called "Radar Is Your Friend." The only noteworthy performances come from Adele Jergens in the blonde bombshell role, and Sid Melton as the comic relief. 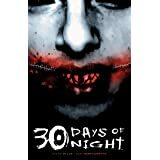 An interesting bonus feature is a travelogue with Frank Conniff and Trace Beaulieu in England, being interviewed by Bunny Galore, British horror movie host, and Queen of the cult movies. (Although, going by her name and listening to her voice, I suspect that Bunny is a Drag Queen. Not that there’s anything wrong with that!) Last and least is the made-for-TV movie pilot "San Francisco International" (1970). Pernell Roberts stars as the head of airport security. Tab Hunter chews the scenery as a criminal briefly disguised as a priest. The plot involves a gang of criminals holding people at gunpoint, as part of a plan to steal a shipment of millions of dollars from Alaska (cold, hard cash). There's also a subplot about an annoying kid whose parents (Van Johnson and Nancy Malone) are going to get divorced. The kid steals a small airplane and somehow manages to fly it. Pernell Roberts has to fly next to the kid, to talk him down safely. And yes, we can all agree that David Hartman is a goofy-looking guy. The host segments mostly involve Mike Nelson impersonating Steve Urkel, with everybody laughing hysterically at everything he says. That strange episode closes out this mixed bag of MST3K movies. Very good collection of MST3K episodes. I did not have any of these in my collection, and their all pretty good. I especially like "The Space Travelers", a weirdly retitled " Marooned " from 1969, with an all star cast. Proving that the movies don't have to be bad. This review has been made possible through the unlimited possibilities of RADAR. If you don't love RADAR, you don't love America. Can't go wrong with MST3K. I'm a fan.